An Imo governorship aspirant for 2019 gubernatorial election on the ticket of the All Progressives Grand Alliance (APGA), Nick Opara-Ndudu, has sent an Easter greeting to Imo State citizens in the country and Diaspora, urging them not to lose hope as the state “will rise again” if given the mantle of leadership of the state next year, reports ITRealms. In the Easter greeting titled “Imo Will Rise Again”, which is contained in a video message now circulating in the country and other parts of the world, Opara-Ndudu told Imolites to emulate the virtues of Jesus Christ as epitomised by his passion, persecution, death and resurrection during Easter, and to pray to the Almighty God to give them the grace to come together to build a state that both present and future generations would take pride in, by taking inspiration from the teachings of Christ. The former Imo commissioner promised quality and purposeful leadership that will bring about the transformation of the state and improved quality of the lives of the citizens, which he said has deteriorated in the last seven years, adding that the transformation would touch all sectors of the economy of the state. He pledged to overhaul the economy by reviving the agriculture and industrial sectors as well as providing quality education, security, health, housing, road network, if given the mandate to run the state on the ticket of APGA. All of these are contained in his blueprint which, he said would soon be unveiled. 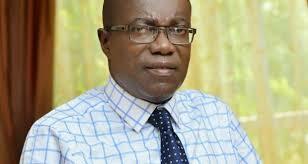 A Chartered Accountant by training, Oparad-Ndudu, who spent over two decades in the banking sector and rising to the position of a Deputy Managing Director, holds a Bachelor’s Degree in Accountancy from University of Nigeria Nsukka. He has also attended training programmes in economics, banking and finance, as well as management within and outside the country. While in the banking sector, he provided useful financial advice and facilities that enabled many small and medium businesses, across the length and breadth of the country, to grow bigger and now adding values to the economy of the country. This, combined with his public sector experience, the former bank boss said he has the required experience of working in a structured environment and the disciplined approach to accomplishing tasks that come with such exposure and experience. These are qualities that would come handy in addressing the rapacious destruction of the civil service bureaucracy and non compliance with due process in the state. A practicing Catholic Christian and an indigene of Emekuku, Owerri North Local Government of Imo State, Opara-Ndudu said “I have spent the better part of the past six months building up a network of concerned Imo Citizens to confront the monster that is before us.